Welcome. Hopefully you’ve been following our 2019 Fantasy Baseball Draft Kit. If you haven’t we hope these AL Central Starting Pitcher Profiles and Projections will help you in getting to know the 2019 player pool. Enjoy the read and look for links to our other profiles at the bottom of the page. The following profiles were completed by Chris Mitchell. Follow him on Twitter @CJMitch73. 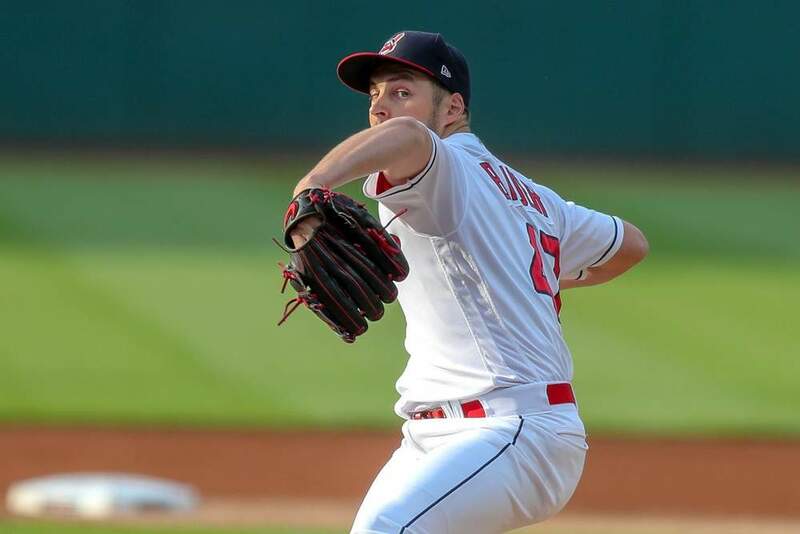 Bauer has the strikeout “stuff” to be a top 10 Fantasy starter with upside and he showed signs of his full potential with a 221 strikeout, breakout season in 2019. He has never been able to pitch more than 176.1 innings in a season and prior to 2018, his career best WHIP was 1.31. In 2018, he had career bests in hits allowed and walks allowed and a career best 1.09 WHIP. If Bauer can finally pitch 200 innings he has a higher ceiling and is a round cheaper than safer options like Aaron Nola, Corey Kluber or newcomer Blake Snell. Bauer is best suited as a number two starter in a Fantasy rotation, but he has the overall profile to be a low-end number one for owners who are offense-first drafters. Berrios was one of only 18 starting pitchers to strike out 200 or more batters in 2018. He pitched a career-high in innings pitched (192.1) with 202 strikeouts (202), had a career best K/9 of 9.45 while he also had the highest HR/FB% (12.8%) of his career. His ERA, FIP and xFIP were all comparable, suggesting 2018 was an accurate reflection of the kind of pitcher Berrios was then and can be going forward. His ADP on Fantrax.com is #74, after pitchers like Jack Flaherty (58), Jameson Taillon (63) and 31 picks after Walker Buehler and his #43 ADP. 175 strikeouts, an ERA of 3.75 or better and a WHIP of 1.20 or better is an extremely conservative projection for Berrios in 2019. A more aggressive one? 220 strikeouts, an ERA of 3.10 and a WHIP of 1.10 along with 15-20 wins. Berrios has a high floor and an exciting ceiling to dream on at a reasonable early-February ADP. Buehler has flashier stuff and significantly more buzz while Berrios is going to have a better 2019 season. Quote me in September. Bieber allowed 130 hits in 114.2 innings pitched while striking out more than a better per inning and walking 23 batters. He lacks “wow” stuff, but his command allows his overall repertoire to play up. If he throws 170-200 innings he profiles to be a 150-160 strikeouts and acceptable ratios. With an ADP of #159, Bieber is being drafted like a sixth or seventh Fantasy starter with the potential to be a low-end number three or four. He lacks the raw “stuff” to be a must-start pitcher, but he is a legitimate matchup and double-start option and should be owned in the majority of leagues. There is some risk that when Danny Salazar returns from injury Bieber could be the odd-man out. Draft-day Food for thought. Blewett’s 6’6” frame provides a lot to dream on but the “stuff” hasn’t been there. His velocity is relatively average for a right hander, he doesn’t have a swing-and-miss breaking ball and his command hasn’t been good enough for his middling repertoire to play up. His 2018 season in Double-A, where he pitched 148.1 innings with an ERA of 4.79 and a WHIP of 1.44, highlighted these facts. Typically, that amount of innings pitched would earn a promotion to Triple-A, while that kind of performance suggests he will be better suited beginning 2019 in Double-A. There is a chance Blewett is promoted in July or August, but he lacks the “stuff” to be on the Fantasy radar and he certainly doesn’t warrant a draft pick in any format. Boyd had a good enough 2018 “breakout” season to be a respectable fourth or fifth Fantasy starter in double-start and prime matchup weeks if it continues in 2019, but I am skeptical. He relies overwhelmingly on two pitches, a fastball and slider, which raises questions about whether he can sustain or improve on his 2018 performance. The Tigers aren’t expected to be a very good team in 2019 and Boyd doesn’t profile with enough upside for a significant breakout. He is worth owning in AL-Only formats and can be a streaming consideration when he is pitching well and can be ignored when he isn’t in mixed leagues. At best, he has a mid-fours ERA, 140-160 strikeout ceiling and too much risk to expect that he gets there in 2019. Carrasco has been the victim of his own potential and is currently being underdrafted as a result. He is being drafted after Trevor Bauer, Noah Syndergaard, Clayton Kershaw and Walker Buehler even though he has struck out 216 batters or more in three of his last four seasons, an ERA of 3.63 or better and a WHIP of 1.15 or better in four straight seasons. Carrasco profiles as an adequate front of the rotation Fantasy starter, but like Trevor Bauer, he is best suited as a high-end number two. He is one of the better values in the first four rounds of current drafts. Clevinger flashed what he could do with 137 strikeouts in 121.2 innings pitched in 2017 and then followed it up with 207 strikeouts and 21 Quality Starts in 200 innings pitched in 2018. In 2018, 18 pitchers struck out 200 batters or more, 13 pitched at least 200 innings, and 15 had 20 Quality Starts or more. Only eight did all three. Clevinger was one of those eight. His K/9 actually declined slightly in 2018 from his breakout 2017 season, while his BB/9 and BB% improved. His current Fantrax ADP is #56, 16 picks later than Indian teammate Carlos Carrasco, 19 picks after Trevor Bauer and 34 after Corey Kluber. I understand that Kluber’s the “safe” pick because of his record of consistency and I concede that both Carrasco and Bauer have a higher ceiling, but when you combine ADP, risk and strikeout potential, Clevinger may be the best all around draft-day value on a dominant Indians rotation. He lacks the buzz of the more elite starting pitchers and that could make him one of the better draft day values. Owners that have Clevinger as their number two starter because they invested on the offensive side of the ledger or their #3, they aren’t doing badly heading into the 2019 Fantasy season. There are a lot of red flags to keep Fantasy owners away and not enough upside to embrace the risks with Duffy. He has never pitched 180 innings in a season, he has averaged a strikeout per inning only once and his BB/9 and HR/9 have gotten worse in back-to-back seasons. I was hardly enthusiastic in my praise of Jakob Junis, but he is more likely to have a better 2019 season than Duffy. If your league is deep enough and Duffy falls far enough then almost anybody is worth owning, but thats not exactly an endorsement of Duffy in mixed leagues. In Al-Only he needs to be owned, but not relied on. Fulmer was awful at the major league level while he was far from impressive at Triple-A in 2018. His breaking ball and fastball can be swing-and-miss pitches, but it looks more and more like Fulmer will be better suited in the late innings as a reliever than at the beginnings of games as a starter and 2019 we could see the transition. He is another good White Sox arm who could receive a brief opportunity to pass or fail as a starter. If he is transitioned to the bullpen he has a chance to be an effective K/9 contributor in those formats as well as an above average reliever in the Holds category. His path to saves is likely blocked however. Fulmer had career worsts in multiple peripheral categories in 2018 and the result was the highest ERA and WHIP of his young career. 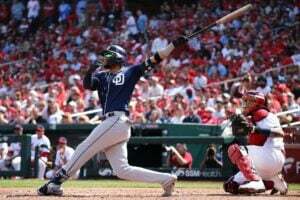 His BB/9 ballooned from a high of 2.38 to 3.13, his HR/9 was 1.29 compared to a previous worst of .91 and his HR/FB% was 14.5% compared to a previous worst of 11.2% in 2016 and 8.8% in 2017. For a pitcher who doesn’t miss a lot of bats, fly balls are a killer and they were harsh to Fulmer in 2018. He allowed a career high 46 home runs in a career low 132.1 innings pitched. Fulmer is better than what he showed in 2018, but owners shouldn’t be overly excited about a bounceback in 2019. He has the pitching savvy, the intelligence and the command to be relevant in ERA and WHIP while his ceiling is limited by his lack of impact strikeout potential. Wins will be rare in Detroit in 2019 (he only won three games in 2018) and that hurts Fulmer’s prospects for Fantasy success in 2019 as well. He is a low-end, streaming starter in mixed leagues and mid-level “also-ran” in AL-Only formats. 2018 was the best season of Gibson’s career in strikeouts and ERA and .01 worse than his career best in WHIP and he was able to do it without any one statistic jumping off the back of the scorecard as unrepeatable going forward with the exception of strikeouts and he most noticeably improved strikeouts with his four-seam fastball. The K% of his four seam fastball was 5.4% in 2015, 1.5% in 2016, 5.6% in 2017 and 10.5% in 2018. Gibson is likely to regress across the board in 2019, but it will be interesting to watch early in the season. Gibson is viable in AL-Only formats and a low-end, back-of-the-rotation, double-start pitcher in mixed leagues. Early in the 2019 season, owners should keep an eye on his four seam K% to see if it regresses or if he is able to repeat his 2018 breakout campaign. If it’s repeatable it makes Gibson an early season buy-low opportunity. Giolito profiles to be an inconsistent starter in ERA and WHIP that lacks the strikeout potential to be an impact Fantasy contributor. Giolito profiled as a #1 starter when he was drafted by the Washington Nationals, with three plus-pitch potential. His K/9 was good, but not spectacular, as a prospect and as a major leaguer it has been poor. His Fourseam fastball had a 19.9% BB%, 13.0% K% and batters had a .431 OBP against it in 2018. Pitchers aren’t top Fantasy starters with that kind of performance from your fastball. The changeup and slider were his most effective pitches in 2018 and we could see a different approach to getting batters out in 2019. Somehow, Giolito pitched worse than his ERA and WHIP in 2017 (ERA of 2.38 and xFIP 4.42) and better in 2018 (ERA of 6.13 and xFIP of 5.46). Giolito has been consistently inconsistent in ERA and WHIP and owners should expect more of that in 2019. What we know about Giolito is that he has only 170 strikeouts in 240 innings pitched and a career K/9 of 6.38. If Giolito hadn’t been a highly ranked prospect he wouldn’t be on our radar and while that still justifies checking in on him from time to time, it doesn’t mean he should be selected on draft day. The strikeouts and upside of Reynaldo Lopez isn’t there for Giolito and a breakout season is unlikely in 2019. Gonsalves pitched to an ERA of 2.76, a WHIP of 1.17 and 120 strikeouts in 120.2 innings pitched in a very strong season at Double-A, Triple-A and four starts for the Twins in 2018. He has averaged more than a strikeout per inning in his career and he could bring that kind of production in 2019. There are multiple arms fighting for multiple opportunities in the Twins rotation and Gonsalves has a legitimate chance to be one of their five regular starters. The Twins have announced that they plan to move Fernando Romero and Adalberto Mejia to the bullpen while Michael Pineda could begin the season on the disabled list or in extended spring training as he works his way back from a meniscus tear that ended his 2018 season in September. Most rookie workloads are managed closely and the signing of Martin Perez could be one way the Twins do that early in the season before promoting him in June or July, August at the latest. Gonsalves should be owned in AL-Only leagues if the Twins indicate they plan to break camp with him in their starting rotation, while he is worth monitoring in deeper mixed formats. HIs ceiling isn’t as high as some of the top prospects, but he offers enough for Fantasy owners to be a low-end, double-start or streaming consideration. Junis snuck up on Fantasy owners in 2018 by pitching on the fringes of relevance in mixed leagues while being a legitimate starter in AL-Only formats. 164 strikeouts in 177 innings pitched isn’t going to win owners a championship, but as a matchup, streaming or double-start option he is viable in all leagues and he has done it in back-to-back seasons. The depth of your league will determine how relevant Junis is, but there are worse pitchers with less strikeout potential and he benefits from a friendly pitchers park and less than impressive divisional opponents. Keller was able to pitch to a “less-than-impressive” WHIP of 1.30 while managing to finish the season with an impressive 3.08 ERA of 3.08 in 140 innings pitched in 2018. He did it with a sub-standard K/9 of 6.16 and a poor BB/9 of 3.21 by inducing weak contact and minimizing his home runs allowed (HR/9 of .45). A sub-4 ERA is relevant in AL-Only leagues and justifies streaming and double-start consideration in mixed formats. Keller is going to struggle to repeat his 2018 ERA and he doesn’t strikeout enough batters to justify owning if he can’t. Keller’s floor isn’t as high as it needs to be to overcome how limited his ceiling is in mixed leagues, but he is worth owning in AL-Only where the thinner pool of alternatives makes his ERA more valuable and minimizes his lack of strikeouts. Kennedy managed a 2018 ERA of 4.66, almost identical to what his FIP and xFIP were. Its extremely rare to see a pitchers ERA reflect almost exactly how he actually pitched, which is the reason why metrics like FIP and xFIP exist, but Kennedy did that in 2018 and has most of his career. He has never been a Fantasy factor in ratios, but he has always been on the fringes of viability because of his above-average ability to strike batters out. Kennedy’s downfall has been too many walks and too many home runs allowed and while the strikeouts are intriguing, they can’t overcome his poor ratios in AL-Only or mixed leagues. Kluber has pitched 200 or more innings with 200 or more strikeouts in five straight seasons. There are few more reliable, high-end starting pitchers in baseball and it justifies a high draft pick to solidify the top of a Fantasy rotation. But, if you’re looking for “value” or upside, Kluber isn’t your guy. Kluber will enter the 2019 season as a 33-year-old after a 2018 season where he had the lowest K/9 and least amount of total strikeouts of his remarkable five-year run of dominance. To say Kluber is in decline is a stretch, but there are signs that the “stuff” isn’t at its peak and that it could be coming, slowly, but coming. I would rather invest in the potential and upside of Trevor Bauer with a current ADP of #37 than Kluber and the risk of a slight decline with the 22nd overall pick. My “Hot Take” is that Kluber declines across the board in all Fantasy categories in 2019 and I don’t want to be buying this draft season or left holding the bag this time next year in Dynasty leagues. Lopez has always had an elite level fastball and above-average strikeouts are going to be there because of that one pitch. To have viable Fantasy ratios a pitcher needs to be able to command and snap off effective secondary pitches and that’s where Lopez struggled in 2018. He walked 75 batters in 188.2 innings pitched while his splits were almost identical, a positive sign going forward. Batters hit .385 against his curveball and .258 against his changeup. His Fourseam fastball had a BB% of 12.1% and he allowed 20 home runs compared to only five from the entirety of his remaining repertoire in 2018. If Lopez can command his Fourseam fastball better he will reduce the home runs, increase his strikeouts and success in ERA and WHIP will follow. His power fastball and swing-and-miss slider (34.2% K percentage from his slider) provide a #2 starter floor in the strikeout category and a high ceiling as a young starter with enough uncertainty to fall in drafts. Owners shouldn’t draft Lopez expecting him to anchor their rotations, but if he is your fourth or fifth starter or a start/sit consideration each week then they found themselves a strong starter with plenty of upside. I expect a 200+ strikeout season from Lopez in 2019. A benchmark that only 18 pitchers reached in 2018. The Twins have stated that they plan to work Mejia out of the bullpen in 2019 and they think his “stuff” will play up. With a lack of an obvious choice to close out games for Minnesota, Mejia could be a dark horse candidate to steal the job if he can show the strikeout potential we saw in 2017 when he struck out 85 batters in 98 innings pitched. The Tigers 2019 rotation is overflowing with high-upside strikeout pitchers that haven’t reached their full potential and Moore is one of them. Moore has never averaged a strikeout per inning in spite of having a fastball that tickled triple-digits from the left side. The Tigers, like Fantasy owners, are taking a lot of fliers and Moore will fight for a spot against a few of the others. It looks like he has an edge for the fourth of fifth rotation spot, but Daniel Norris will have a say in the matter. He is irrelevant until he earns it in mixed leagues, but he should be monitored in AL-Only leagues where he could approach a strikeout per inning while he is healthy. Norris has the “stuff” to strike out a batter per inning and at one time he had a ceiling as a number two starter. He has had stretches of strikeout per inning performance in his major league career, but he hasn’t pitched well enough to be Fantasy viable before and he doesn’t justify drafting, even as a flier, now. Norris’ upside does warrant early season monitoring to see if he can put it all together, but there are better late-round fliers on draft night. And, he will have to earn a spot in a Tigers rotation where he looks to be on the outside looking in at the start of spring training. Nova doesn’t provide much upside and there isn’t a lot to get excited about to begin with, while the move from a pitchers park in the NL to a hitters one in the AL diminishes his value even more. He is a streaming and two-start pitcher in mixed leagues while 160-175 innings pitched and the subsequent strikeouts and wins that accompany them provide some value regardless of the quality of those innings in AL-Only formats. After Jose Berrios, Odorizzi is the best and most Fantasy relevant starter on the Twins pitching staff. He has a career ERA of 3.86, WHIP of 1.25 and he has struck out 150 batters or more in four of five full time major league seasons, including a career K/9 of 8.33. From 2017 in Tampa Bay to 2018 in Minnesota his BABIP was higher while his K/9, HR/9 and HR/FB were all better while his BB/9 was the exact same in both seasons. One concern is that his ERA and WHIP have regressed for four consecutive seasons. Fantasy analysts like to see trends and unfortunately for Odorizzi, his are going the wrong way. But, the peripherals suggest 2019 could be one of improvement rather than more of the same. 170 strikeouts, 4.00 ERA and 1.20 WHIP is what owners should project when they consider drafting Odorizzi in 2019. He has a safe floor that is enhanced by his consistent, above-average strikeout totals. Pineda has had ERA’s of 4.37 or higher and WHIPs of 1.23, 1.35 and 1.25 in his last three seasons even though he has averaged more than a strikeout per inning for his career. High strikeout totals mitigate his less than impressive ERA and WHIP, justify drafting him in mixed leagues and makes Pineda a must-own in AL-Only formats. After being shut down in 2018 with a meniscus tear, we don’t yet know if he will be ready at the start of spring training or not. Regardless of whether its April or June, Pineda’s ceiling almost assures he will have a starting spot in the Twins rotation when he is ready to go. Rodon’s Fantasy prospects are enhanced by his K per inning repertoire and limited by his inability to pitch more than 140 innings in any season as a professional. Rodon had an odd 2018 season, suggesting he might be becoming a better “pitcher” and possibly a worse Fantasy commodity. Fantasy owners look at a pitchers strikeouts first and his 2018 K/9 was the worst of his career (6.71 per nine). His BB/9 was his worst since 2015, while his WHIP of 1.26 and Hits Allowed per nine were far and away the best of his career. I suspect that 2018 was more of a fluke than the start of a trend regarding strikeouts, but it is a reason to be less than bullish about a potential breakout season in 2019. He profiles to be a strikeout per inning starter who can’t be relied on for a large number of innings pitched or the automatic bulk statistics, as well as wins, that go along with it. He is best drafted as a situational/matchup and double-start part of a rotation rather than relied upon to be an automatic weekly starter, where his limitations can overwhelm his upside. All indications are that the Twins plan to solidify the back of their bullpen with Romero and Adalberto Mejia to start the 2019 season. Romero averaged less than a strikeout per inning as a starter in the minor leagues, but his “stuff” should play up in short stints and it is better than the results suggest as a starter as well. Romero and Mejia could be potential darkhorses for saves and are worth monitoring in spring training. Long term, I can see Romero returning to the rotation and being Fantasy relevant for Dynasty leaguers. The “stuff” is better than the results. In 2014-2016, in San Diego, Ross had three seasons where he averaged a strikeout per inning or better twice with ERA’s of 3.26 or better in all three. He hasn’t been that guy since due to injury, but those seasons have kept him on the Fantasy radar. Ross is a late round flier in mixed leagues and a must-draft in AL-Only leagues, where his strikeout potential provides too much reward to ignore. He shouldn’t be relied on for even 150 innings pitched in 2019, but if he does he will be Fantasy relevant. He will have to earn a spot in the Tigers rotation, but I expect he will. Zimmermann was once perceived to be an underappreciated starter and that has kept his name recognizable to Fantasy owners. He hasn’t pitched 200 innings, struck out more than 111 batters, won at least 10 games or had an ERA under 4.50 since 2015. Even when he was “underappreciated,” he never averaged a strikeout per inning or had a 200 strikeout season. Zimmerman isn’t viable in mixed leagues, but he is worth monitoring in AL-Only where depth is lacking. Did you find our AL Central Starting Pitcher Profiles useful? For more great rankings, strategy, and analysis check out the 2019 FantraxHQ Fantasy Baseball Draft Kit. We’ll be adding more content from now right up until Opening Day!